I have been very, very blessed and incredibly lucky to be in good health but like everyone else in Cornwall know people who have used and been supported by the wonderful team at Cornwall Hospice Care. 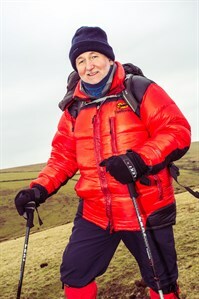 I have in business and at a personal level carried out carried out fundraising and sponsorships, including a variety of treks raising funds for the essential work undertaken in the Duchy over the years. On my retirement from the Ocean Housing Group, an opportunity arose which has allowed me to join the board of Trustees and play a part in ensuring Cornwall continues to have the best possible community and hospice care possible in the years ahead. My fundraising activity has not stopped and recently I joined a wonderful group of people and trekked to Everest Base Camp raising funds for our much loved Cornish Charity! David took the position of Chair of Trustees at the beginning of November 2018.